DH-Budenberg offers a new premium range of deadweight testers designed for precision pressure calibration applications. DH-Budenberg 583 series industrial deadweight testers are genuine primary pressure standards with metrology class pistons to provide an uncertainty of >0.005% with DH-Budenberg effective area and mass certification. 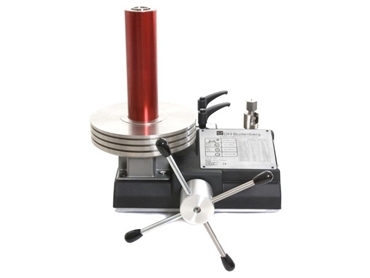 Available in a wide range of pressures from 200 bar up to 5000 bar, the 583 series of deadweight testers feature a new hydraulic base that can offer easy priming and high-pressure generation from the integral dual area screw-press. Optional features available for these deadweight testers enable customers to tailor the device to suit their specific requirements. DH Budenberg offers a 3-year guarantee on the deadweight testers range.